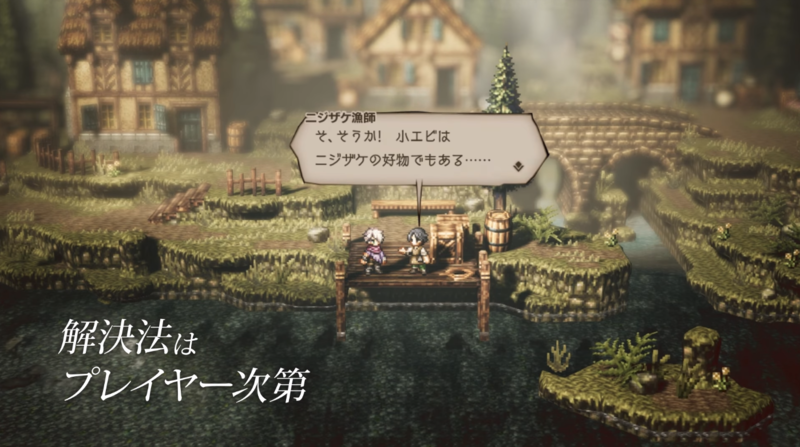 Square Enix has released a brand new overview trailer for Octopath Traveler, featuring protagonists H’aanit, the hunter and Therion, the thief. Additionally, the video below also gives us a glimpse at the “Noble” and “Rogue” field commands, as well as a look at the game’s sub-stories. Last month, the company released another overview trailer, showcasing two other protagonists and a collector’s edition for the upcoming RPG. Octopath Traveler is set to release for Nintendo Switch worldwide on July 13.